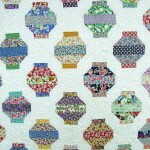 Yesterday I posted Housewifely Wisdom pages with appliqué designs, but today it’s all about embroidery. First, a basket design for a bedspread, but I like the alternate idea of using these designs for the covers on porch chairs. Next is an apron that is supposed to work up quickly, but I would probably substitute colorful bias tape for the blanket stitching on the edges. 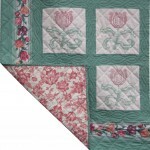 Last is a quaint little maid, suitable for embroidery or appliqué, but with a warning. Click to enlarge the images. 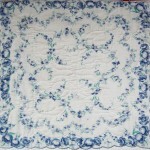 Place this pattern in the center of the spread of unbleached muslin, which is inexpensive and especially nice for summer use. Work all of the circles in satin stitch, the radiating lines in single stitch and the remainder of the pattern in outline stitch. Pink, blue, yellow and green are the colors most used for a spread of this variety. 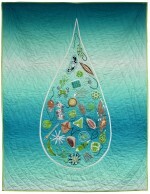 Embroider the leaves in one or two shades of green. Use yellow for the centers of the flowers, blue for the daisy petals and pink for the flowers with large round petals. Use blue for the bell-shaped flower and yellow for the circle. 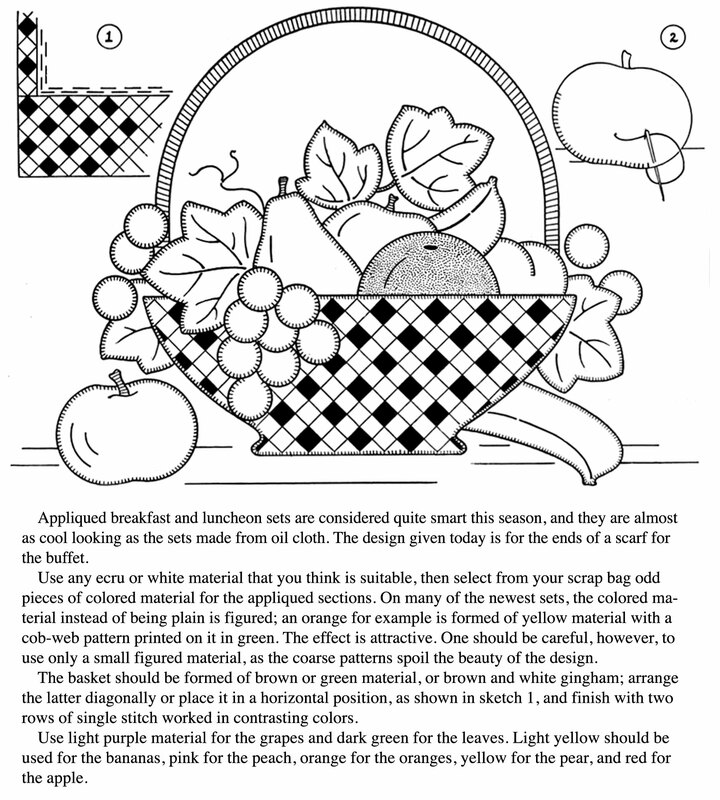 The basket should be worked in dark green. 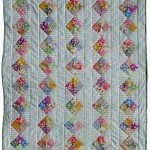 Finish the edge of the spread in coarse blanket stitch of the same color. 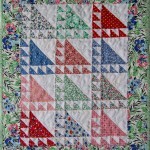 This pattern will make a lovely bedspread, but is also suitable for the covers used on porch chairs. Use toweling or any material of a medium quality for this apron. 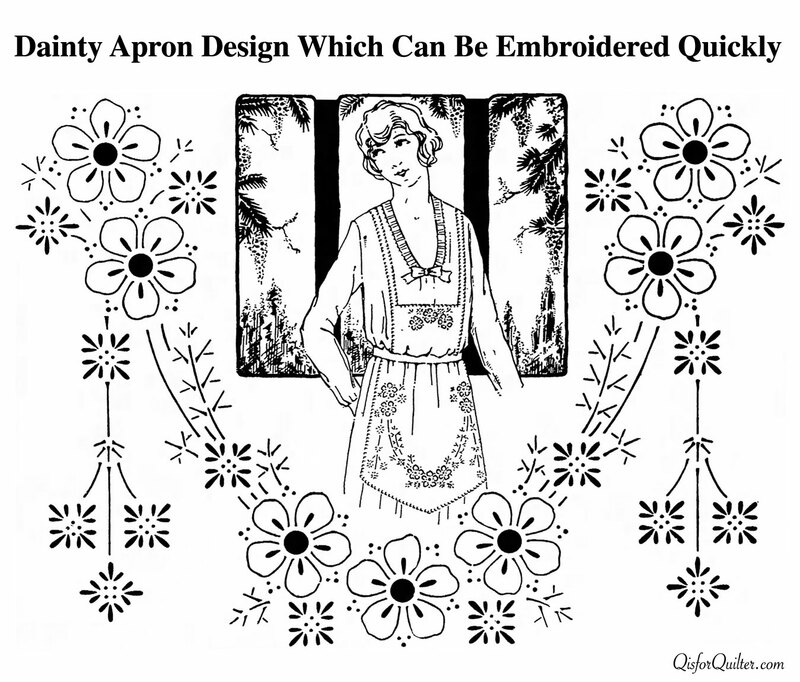 Transfer the design to the lower part of the apron, then turn the pattern upside down and use the center group of flowers for the upper par of the bib. The back of the apron is made by extending the straps, crossing and attaching them to the skirt with buttons and buttonholes. 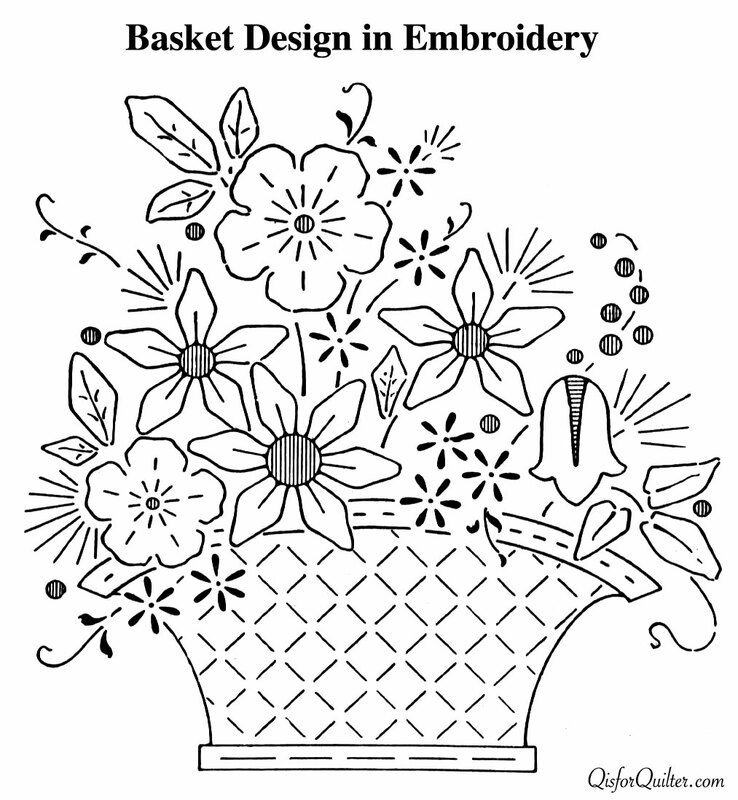 Work the center of the flowers in satin stitch, dots in French knots, petals and stems in outline stitch. 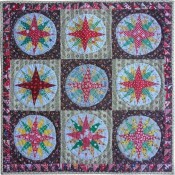 The leaves formed of radiating lines should be worked in single or lazy-daisy stitch. 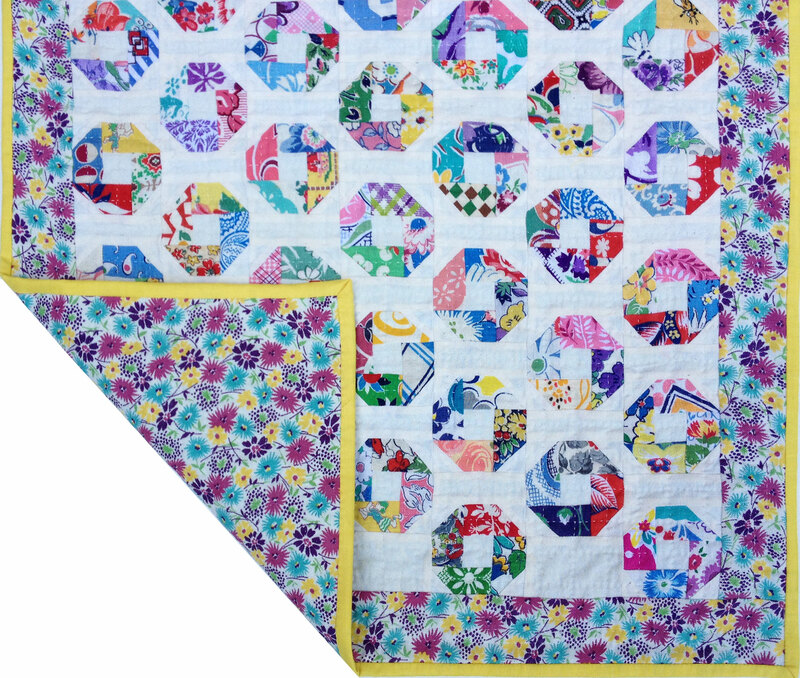 Finish the entire edge of the apron with coarse blanket stitch. 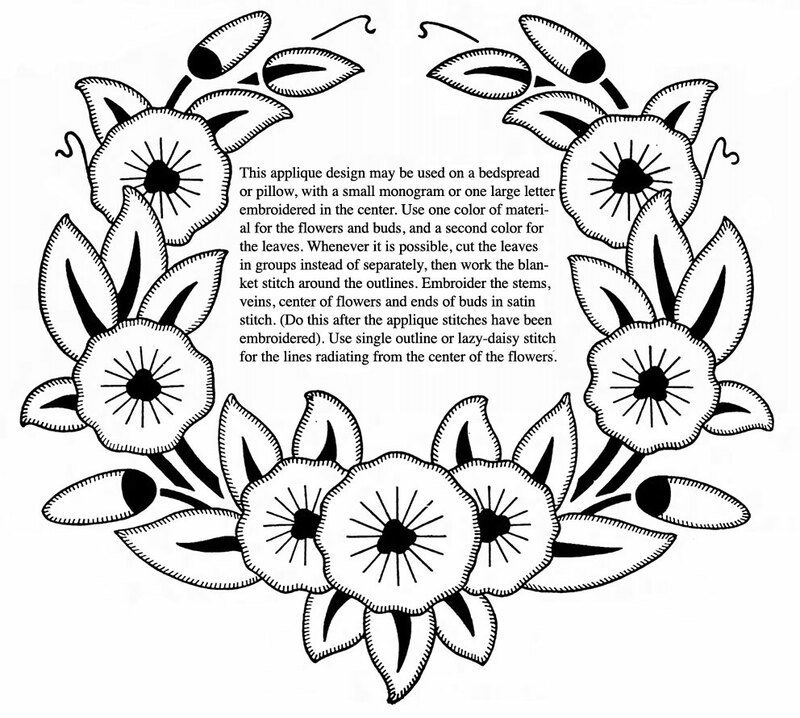 The dainty little lady on this page may be used as an applique design or a simple embroidery pattern for the bottom of a fancy apron, the center of a bedspread, or the corners of curtains. 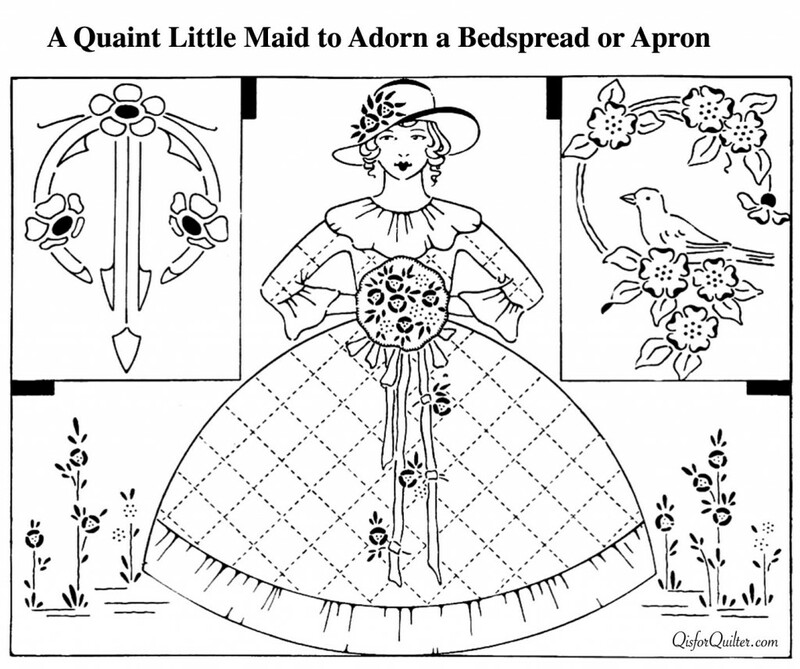 When used as applique, omit the lines in the skirt. Use material for the ruffles at the neck, sleeves and bottom of the skirt, and checked gingham or a pretty figured material for the sleeves, bodice and skirt. The face, arms, bouquet, streamers and hat should be embroidered on the apron and no attempt should be made to applique these sections. 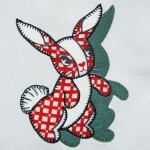 If the pattern is to be embroidered, work all the lines in outline stitch and the solid sections in satin stitch. The line in the skirt should be worked in tiny seed or back stitch. A pretty idea is to use narrow lace for the ruffles on the little lady’s dress. The two designs in the corners are pretty patterns that are suitable for towels. 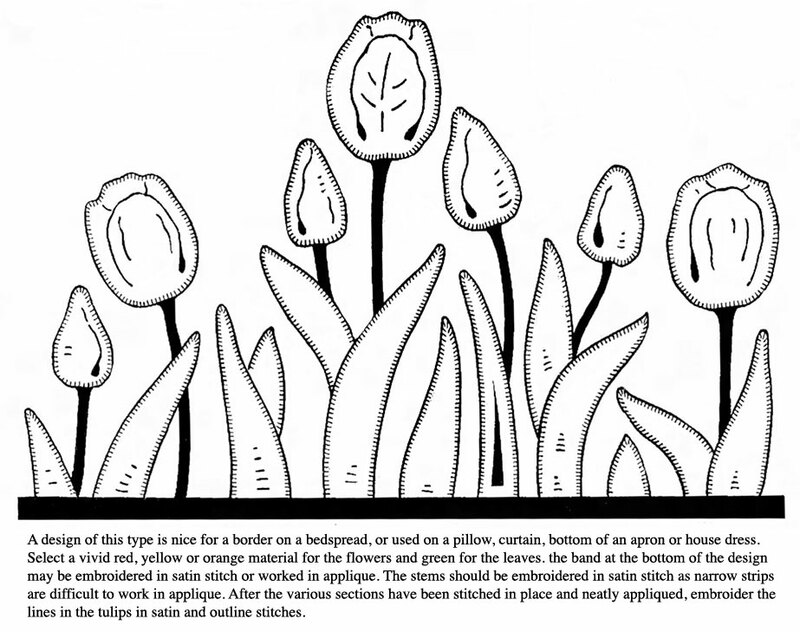 Work the dark sections in satin stitch, the dots in French knots, and the lines in outline stitch. This is the project I’ve been working on constantly since my last post — making 150 crepe paper flowers in white and shades of blue/green, along with 35 birch bark vases. The theme for the decor at this event had already been selected, and, although Emily and I sort of struggled with different ideas for the centerpieces, they turned out pretty cute. 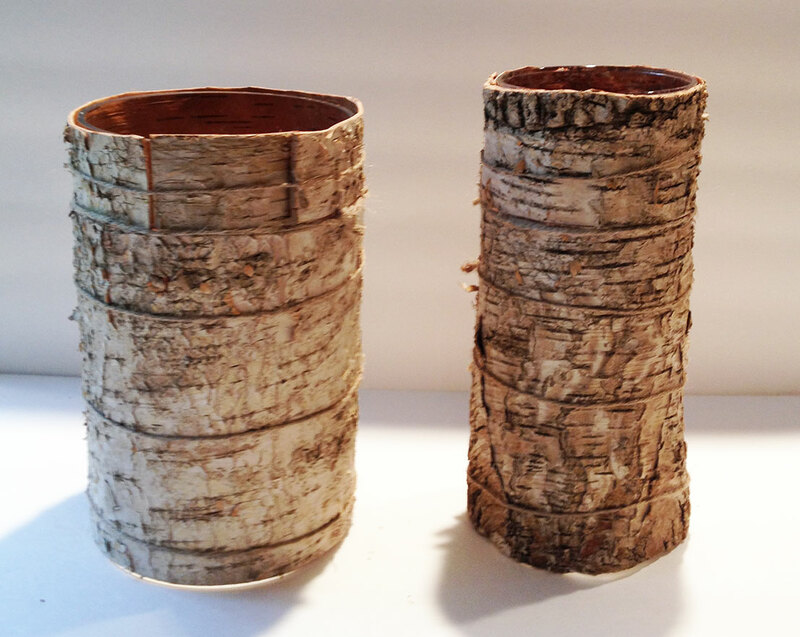 The 6 1/2″ x 15″ bark strips were purchased on Etsy, and I thought they were going to be malleable enough to just wrap around a bottle to create my vases. It wasn’t quite as simple as I thought, because the strips were a bit thicker and stiffer than I expected, and they first needed to be soaked and then curled around a wine bottle using twine (this is the hardest part — gloves are recommended). 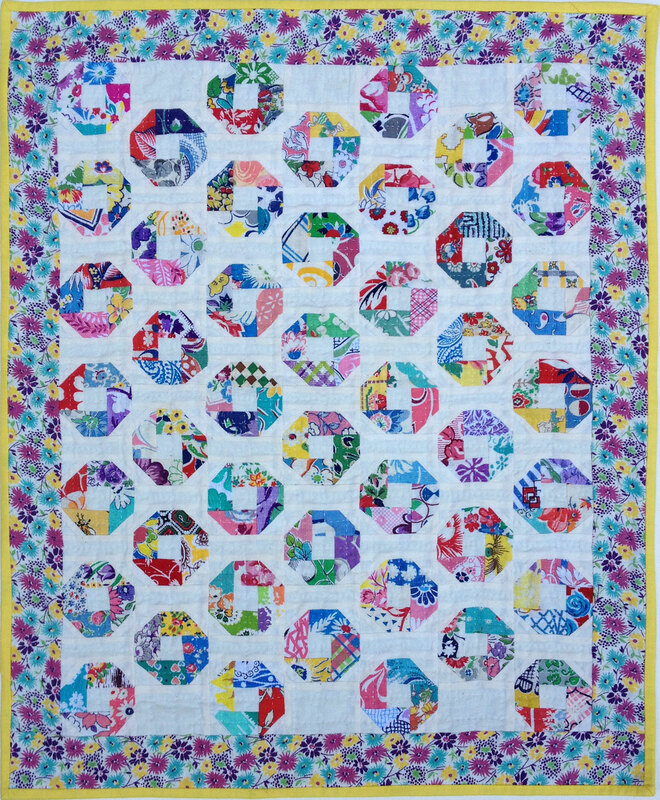 I let them dry for a couple of days, while my husband cut out 35 circles for the bottom using a 3″ hole saw. Once the bark was dry, I tightened it just a little (temporarily leaving the string) to fit the wood bottom, then stapled the bark to the base with 4 or 5 staples. 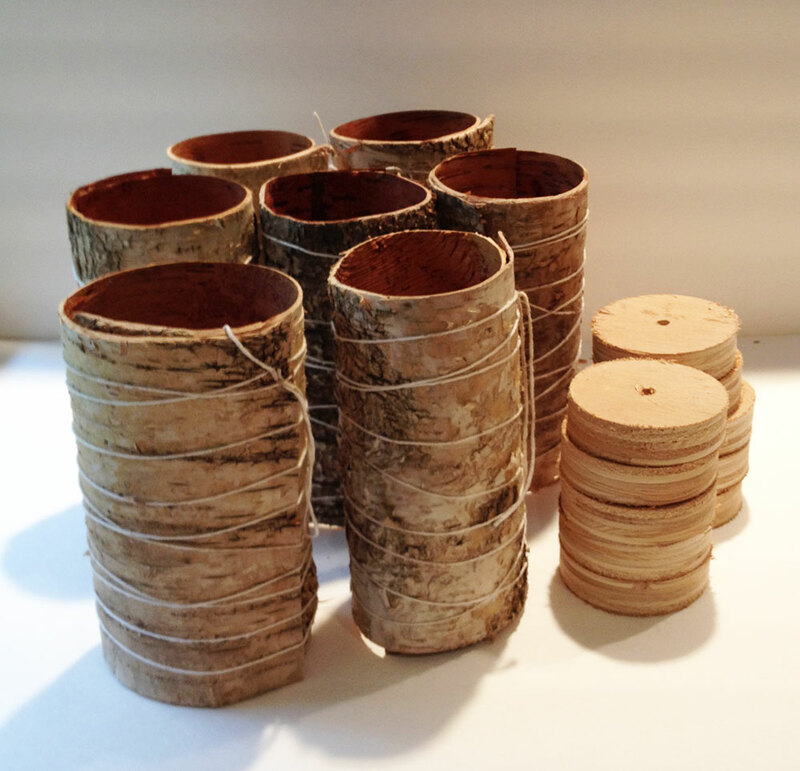 Then I cut off the string and tied each vase with 3 pieces of jute. When I finished the 35 vases, there were some leftover strips, so I used them to cover a couple of larger cylindrical vases which will hold arrangements with a couple of dozen flowers each. These could be used at the check-in table or at the bar. 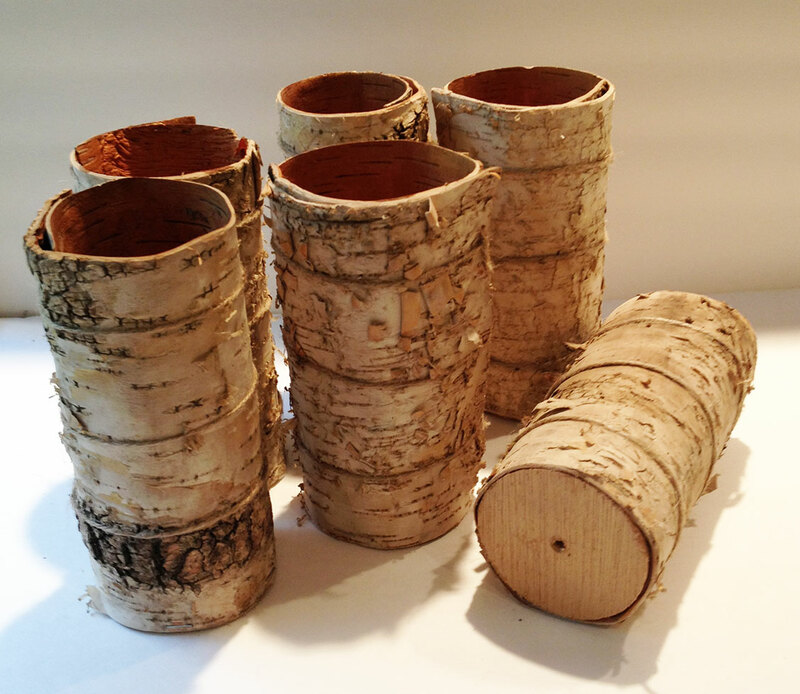 It would probably have been little easier if I were wrapping bark around containers for all the vases, but this is a charity function, and we are trying to keep costs as low as possible. Besides, crepe paper flowers don’t need a waterproof container. For most of the colored flowers, I dyed the crepe paper. This time I repeated the technique I had used for streamers, but I also figured out a way to dye whole sheets of flat fold crepe paper. It was really easy, so I’ll be posting the directions soon, along with instructions for making a peony-like flower. 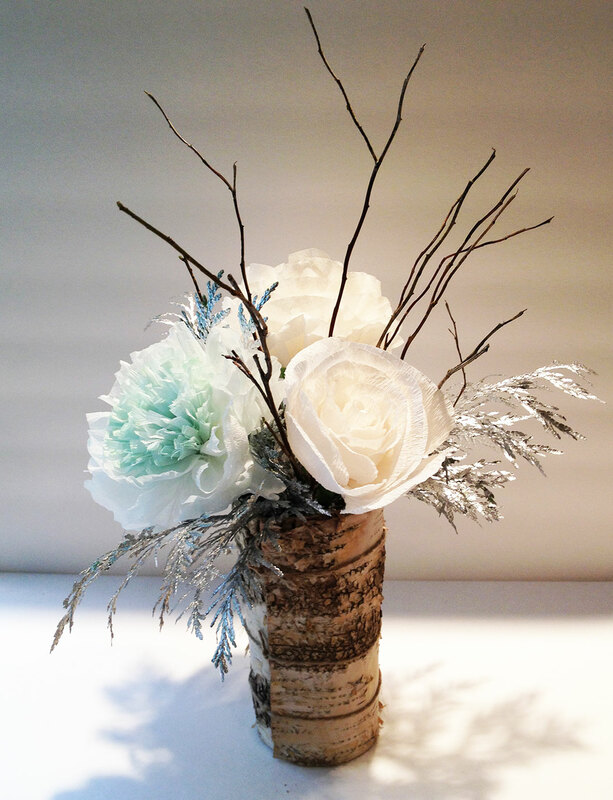 In addition to the flowers, I added some stuff from the woods behind our house — cedar branches, which I spray painted silver, along with some twigs. The metallic spray paint covered really well, but in my test, the painted cedar began to dry and curl after a couple of weeks, so I’ll wait to do those until we’re closer to the event. The arrangements are very light, so I put a couple of rocks in each vase to keep it from tipping over. I’m almost done making the flowers . . . then on to the little tea light holders and the napkin rings. More later. 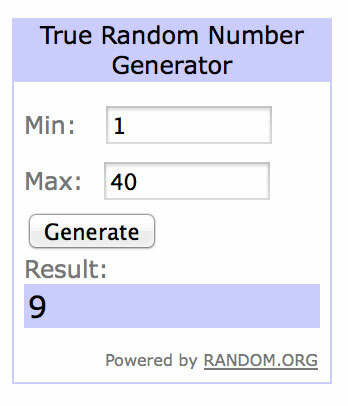 Congratulations Commenter #9, Beth F! You are the winner of the September apron. Thank you to everyone who participated — there was a big group this time. 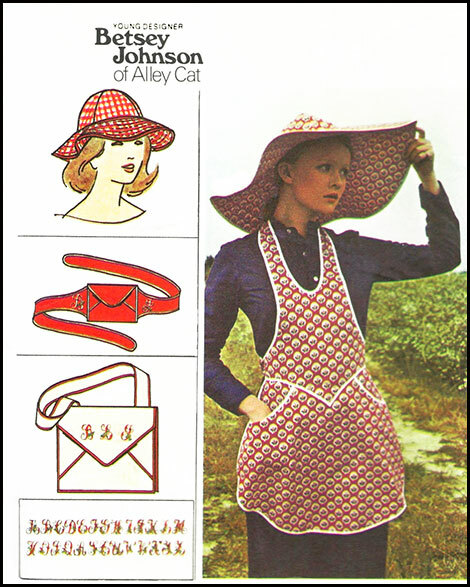 For October’s apron, I am planning to make this cute Betsey Johnson apron from the 70s, but there are some competing projects: recreating the 1970s iconic jacket worn by Madonna in Desperately Seeking Susan for Emily’s Halloween costume (just ordered the fabric); making 120 red and black crepe paper roses, and a large paper mache gargoyle for Emily’s Goth-themed 30th birthday bash in November (30 flowers completed); and finally creating 40 “rustic winter wonderland” centerpieces using white crepe paper flowers for a local charity event that we support, also in November (only one sample arrangement made). Of course, there are also Christmas gifts to be made, so I’m afraid there may not be much quilty stuff going on in the Gray home for the next few months.